Image from Business in Vancouver. When the federal government announced it would buy the Trans Mountain pipeline for $4.5 billion, it was viewed by many industry observers as a tacit admission that Canada has become so seized by political and regulatory uncertainty that it can’t even get an energy project that it supports built without owning it. Far from instilling confidence, many in the oil and gas sector see the nationalization of a pipeline as an act of triage that might save one project but underscores the need to address a more fundamental problem. Iain Black, CEO for the Greater Vancouver Board of Trade, agreed that the Trans Mountain deal highlights a crisis for petroleum investment. “The fact that we got to the point where the question of whether the rule of law means anything in this country, when a decision made by a democratically elected government … is still up for grabs, that is unacceptable,” Black said. In April, RBC CEO Dave McKay warned that investment was flowing out of Canada and into the U.S. “in real time.” Nowhere is that flight of capital more evident than in Canada’s fossil fuels industry. Since the election of Prime Minister Justin Trudeau three years ago, and since the BC NDP government came to power in B.C. about a year ago, the energy industry has been voting with its feet. The biggest beneficiary has been the U.S., where capital spending in oil and gas increased 38% ($120 billion) in 2017, according to the Canadian Association of Petroleum Producers (CAPP). Spending in Canada’s oil and gas sector, meanwhile, declined 56% over three years, from $81 billion in 2014 to $45 billion in 2017, according to CAPP. “We’ve seen investment in the oilsands decrease substantially, but at the same time we’ve seen investment in other long-cycle projects globally increase,” said Ben Brunnen, vice-president of oilsands operations and fiscal policy for CAPP. In the last three years alone, $89 billion worth of pipeline and liquefied natural gas (LNG) projects were cancelled or abandoned, and Alberta has seen divestments by major oil companies to the tune of at least $27.6 billion. Since coming to power, the Trudeau government has cancelled one pipeline project outright – the $8 billion Northern Gateway – and was blamed, at least in part, for the cancellation of the $15.7 billion Energy East pipeline by TransCanada Corp. (TSX:TRP), which would have been required to include upstream emissions accounting as part of a regulatory review. In the Northern Gateway case, Enbridge (TSX:ENB) spent $500 million to go through a four-year joint review panel process and received approval from the National Energy Board and Stephen Harper government, only to have its project cancelled under Trudeau. Between 2016 and 2017, major oil and gas companies began an exodus from Alberta’s oilsands. Royal Dutch Shell sold $10.9 billion of its Alberta assets; ConocoPhillips (NYSE:COP) sold $17.7 billion worth and Statoil $832 million. Large European banks and pension funds have likewise begun divesting from fossil fuels in general, and Alberta’s oilsands in particular. The BC NDP government had been formally installed in power for mere days when Malaysia’s Petronas pulled the plug on a $36 billion LNG project on July 25, 2017. Two months later, Nexen, owned by China’s CNOOC Ltd. (NYSE:CEO), likewise cancelled its $28 billion Aurora LNG project. The Trudeau government approved two oil pipelines – the $7.4 billion Trans Mountain and $5.3 billion Line 3 replacement. Of all the pipeline projects, the Trans Mountain expansion had been voted most likely to succeed, since it was a twinning of an existing pipeline and had federal support. But even that project could not get built by private investors. It faced such opposition from the B.C. government that Kinder Morgan Canada (TSX:KML) signalled it would cancel the project, prompting Ottawa to take it over. While market forces were blamed for some cancellations of major projects, CAPP’s Brunnen said there’s no question that Canada’s regulatory inertia is a major factor in deterring investors. In B.C., the NDP government has at least acknowledged that the tax regime for the LNG industry was a deterrent. It has scrapped a suite of special taxes, putting the sector on the same footing as other industries. The $40 billion LNG Canada project is now expected to get a final investment decision this year, as a result. At the federal level, the government has overhauled both the National Energy Board and the Environmental Assessment Act through Bill C-69. The government insists that the changes under the new Impact Assessment Act will remove uncertainties and delays. However, Queen’s University law professor Bruce Pardy thinks the opposite is true. 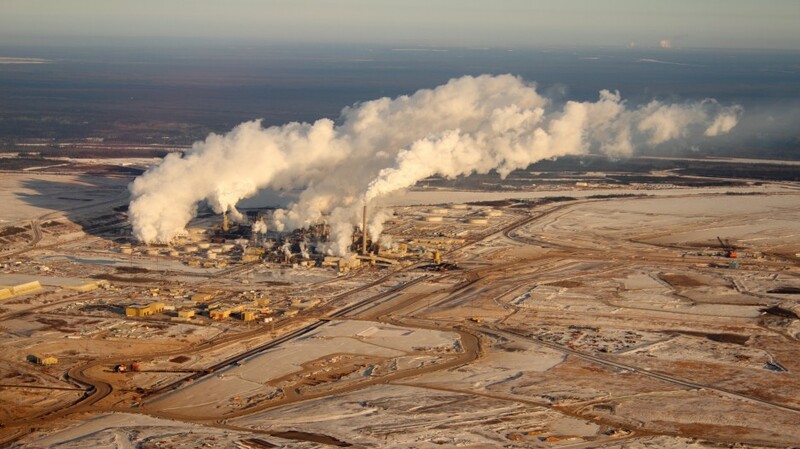 In an analysis of the new act for the Fraser Institute, he argues that environmental assessments are essentially “an empty procedural shell” for what are ultimately political decisions. He concludes the new regulatory regime could be more arduous and lengthy than the one it replaces because it expands the scope of things that must now be considered – from upstream emissions to gender equity issues. “By including things like climate change accounting, gender-based analysis and giving a greater role to Indigenous traditional knowledge, and being receptive to constituencies that would be expected to be hostile to approvals, you sort of have to read between the lines in order to get an idea about what’s to come under this regime,” he said. Werner Antweiler, associate professor at the University of British Columbia’s Sauder School of Business, disagrees. He said a streamlining of the Canadian Environmental Assessment Act by the Harper government was viewed as overly industry-friendly, which opened the whole process to skepticism. He noted that some of the uncertainty and delays on pipelines have been the result of First Nations opposition and court challenges – something that might decrease under the new act, since it requires deeper First Nations consultations. “For example, shorter timelines, enshrined in the legislation, would keep the new process on track and predictable,” the statement said.